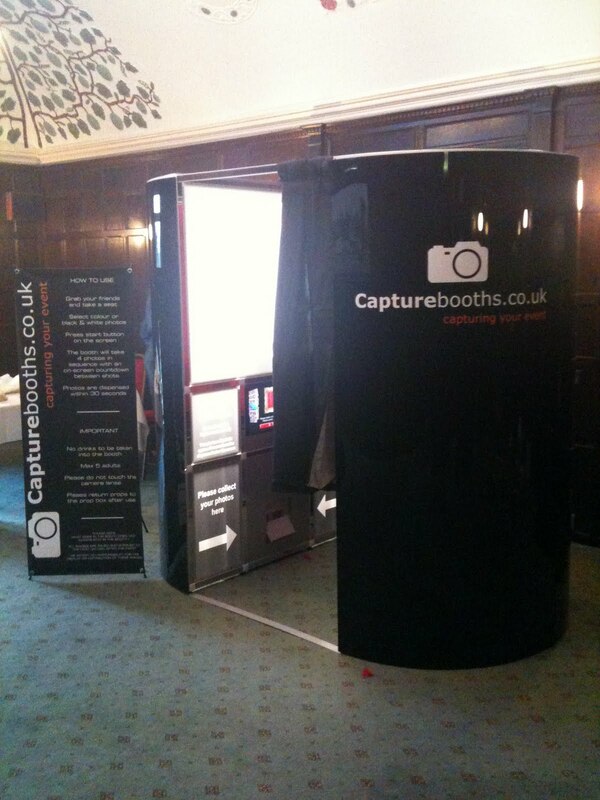 Bristol Wedding News: Why have Capture Photo and Video Booths at your Wedding? Why have Capture Photo and Video Booths at your Wedding? At Bristol Wedding News we LOVE photobooths after having a lot of fun in them at various weddings and events and today we are delighted to have a guest post by Marie Lynham from Capture Booths, explaining why you should hire one for your Wedding. Wedding Photo and Video Booth Hire is a MUST for every wedding as it captures those special and candid moments that are often missed! A photo booth is something different, something entertaining and definitely something people won’t forget. Many brides and grooms are looking for something that will stand out from the crowd and have guests talking about it for months to come. They are looking for something a bit quirky and unique and having Capture Booths will certainly provide this. Having our booth alongside a photographer means every single special and priceless moment is captured in the comfort and privacy of the photo booth. Even the most camera shy can let their hair down and be as silly and outrageous as they like. The video element of the booth means guests can leave their own personalised congratulations to the bride and groom or be as silly and flamboyant as they wish. Guests simply grab a prop, step inside and can pull any pose they wish, within seconds the moment is captured in black/white or colour format and printed there and then so the guest can take it home with them. The laughter and giggles behind the booth curtain is certainly something the booth attendant loves to hear! Every photo and video is saved and given to the new Mr and Mrs at the end of the evening, so they can reminisce over the fun their guests have had. So remember what happens in the booths doesn’t always stay in the booth!!! The photos provide a wonderful keepsake for everyone as they are printed with a personalised message and date of the wedding! Guests often take them to work to show their colleagues and talk about how much fun they had inside the booth. The bride and groom can also use their chosen photo as a thank you card after the wedding, which is also a fantastic reminder of the fun had inside our booth! Capture Photo Booths is a modern and contemporary addition to your wedding and its strong presence and professional feel makes people go WOW as soon as they see it. The large booth can hold up to five people and can be simply a moment to capture a family shot or a silly and fun photo of your friends in a prop of their choice. Following hitting 200 followings on twitter we are pleased to announce all current and future likes on our Facebook page will be entered into a drawer to win the hire of Capture Booths HALF PRICE. The closing date is at the end of October so head over to the facebook page here to be in a with a chance to win (Subject to all terms and conditions of our current standard package).